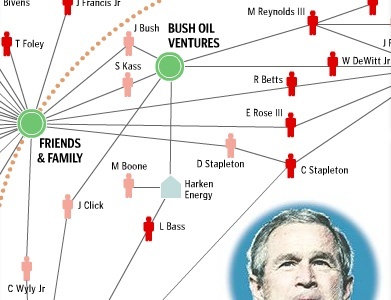 Recently bumped into this interactive flash app and pdf showing funding links from Bush’s fund raising network. From a washington post article in 2004. Nice work Sarah Cohen and Louis Spirito!